The Sri Lanka Defence Services Command and Staff College (DSCSC) had their International Day 2019 at the Army Defence Military Academy Kiribathgoda where students from over 30 countries have been following the training program set by the Academy. Being International Day each country projected their country local information, Cuisine, Handicrafts etc. 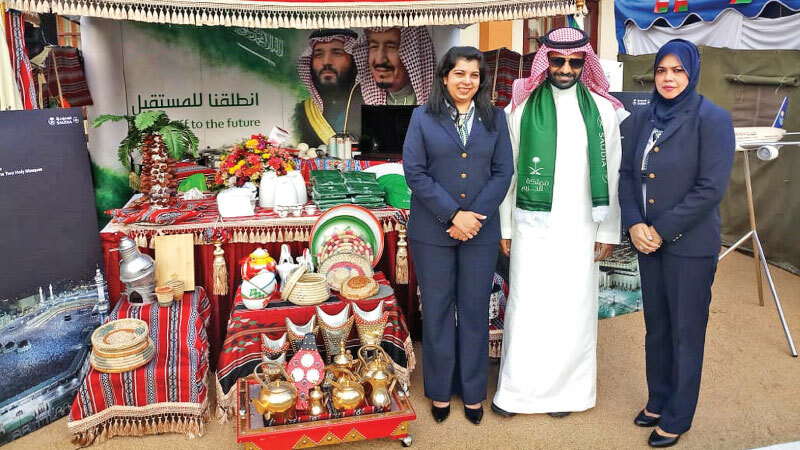 The Kingdom of Saudi Arabia had their own stall which was well patronized by all invitees who were amazed by the Kingdoms cultural information, local products and the traditional welcome ceremony of serving Arabic coffee with dates to the visitors. Hamad Alhajri, a student of the Academy, showed the invitees the Kingdom’s Stall and Officials of the Royal Saudi Embassy were also present as well as the Government National Carrier Saudia Staff who gave compliments from the Airline.